Melissa Phelps, a native of Los Angeles, began her violin studies at age five. By age ten she appeared as a soloist with the Los Angeles Philharmonic. She is a winner of many awards and competitions; most notably the V.O.C.E., Young Artists Guild and the International Coleman Competitions. She is a graduate from Crossroads and studied at the New England Conservatory with Dorothy DeLay. She has a bachelor's degree in music and business from California State University, Northridge. She has performed as a soloist, chamber and orchestral musician; some as Concertmaster and Principal Second with the festivals of Ojai, Banff, Aspen, Sun Valley, Santa Fe, Mainly Mozart, Spoleto- Italy, Japan. Melissa is the youngest member of five, in a prestigious family of professional string players. Performing together they have toured over a dozen European countries, have been featured on T.V. (KCET) and radio (KFAC)and have released many classical recordings; one of which is in the Library of Congress. She has performed/recorded/toured and appeared in music videos with many classical artists and pop artists such as Itzhak Perlman,Yoyo Ma, Pinchas Zuckerman, Mstislav Rostropovich,Van Cliburn, Andrea Bocelli, The Beach Boys, Chris Botti, Barry Manilow, Madonna, George Martin, Diana Ross, Rod Stewart, etc. She has made hundreds of soundtrack recordings for Phonograph,TV, Film and commercials at most of the studios in Hollywood. Melissa has been the concertmaster and a frequent soloist of the Santa Cecilia Orchestra since 1995. In 2003 she was the soloist in the North American premiere of the Piazzolla/arr. by Desyatnikov "Four Seasons" at the Ford Theater. Melissa is co-concertmaster & soloist with the West Coast Chamber Orchestra. She has been a member with the Santa Barbara Symphony, Santa Barbara Opera & New West Symphony since 1993 where she has acted as Assistant Concertmaster on many occasions. 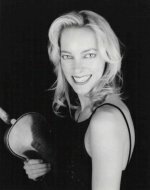 She also plays viola with the Thousand Oaks Philharmonic & the Classical Concert Chamber Orchestra. As well as maintaining her own private violin/viola studio she has been on the music faculty since 1993 at California Lutheran University where she is violin/viola instructor, concertmaster/principal violist and frequent soloist with the University Symphony. At CLU Phelps performed Esa Pekka Salonen's work for violin solo entitled "Lachen Verlernt" in a concert dedicated to the past L.A. Philharmonics' maestro in part to celebrate his honorary doctorate degree from the University.